Old London has packed more crunch into the cracker aisle with the introduction of Bagel Chips, a light and flavorful snack with a tender crisp bite. 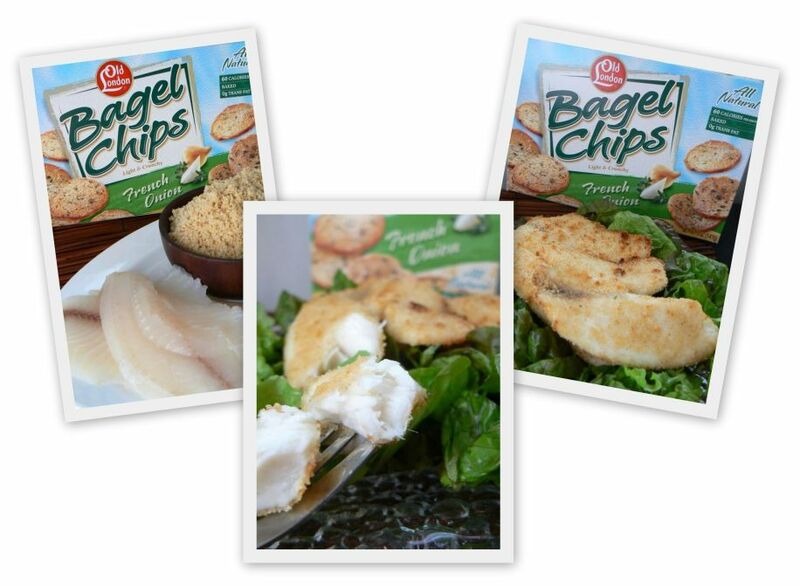 Each low-fat chip is sliced thin and twice-baked for a healthy way to snack throughout the day. All flavors are made with all-natural ingredients, making them a delicious, smart and convenient snacking choice. They are ideal to eat alone, and also go great with soups, salads and dips. Deliciously crunchy bite sized bagels you can pair with your favorite toppings and enjoy anytime!! They make a great light snack at home or to serve to your family and friends. For each proof of purchase from any Old London product submitted on-line or mailed in by no later than December 31, 2009, Old London will donate $0.75 to the Susan G. Komen for the Cure. Find more recipes or shop online for Old London products! We were sent 3 boxes of Old London Bagel Chips for review in these flavors, Bagel Garlic & Herb Chips, Bagel Spicy Cheddar Chips and Bagel French Onion Chips. These are an all natural, 60 calories per serving (6 chips), baked snack. We ate these right out of the box, they loaded with lots of flavor. The French Onion flavor was my favorite followed by the Spicy Cheddar. I liked these bagel chips at first bite, but then they had a weird blah kind of after taste. So I would definitely eat these along with some spread, dip or in a soup. Another idea I had was to crush these up in a food processor to make a bread crumb for chicken, fish or topping for a casserole! This added a nice flavor to the fish. Preheat broiler on high, line baking sheet with parchement or greased foil. Broil for about 3-4 minutes on each side. Be sure to keep an eye on them, they broil fast! A little sauce would be nice along with this too. Old London and Susan G. Komen For the Cure thank you for supporting the fight against breast cancer. I wrote this review for "Mommy? I'm Hungry!" about Old London Bagel Chips. I received free product to keep for this review. All opinions for this review are that of myself & family. Product info & stock images provided by PR and website.